With comfort and protection in mind, the WeatherTech® IndoorMat™ was designed to fit the needs of any doorway. Place the mat in the entrance of the family mudroom to conquer soccer cleats and rainboots; front door to collect visitor’s leaf crunching debris; or business lobby to catch the leftovers of customer’s walking through puddles. 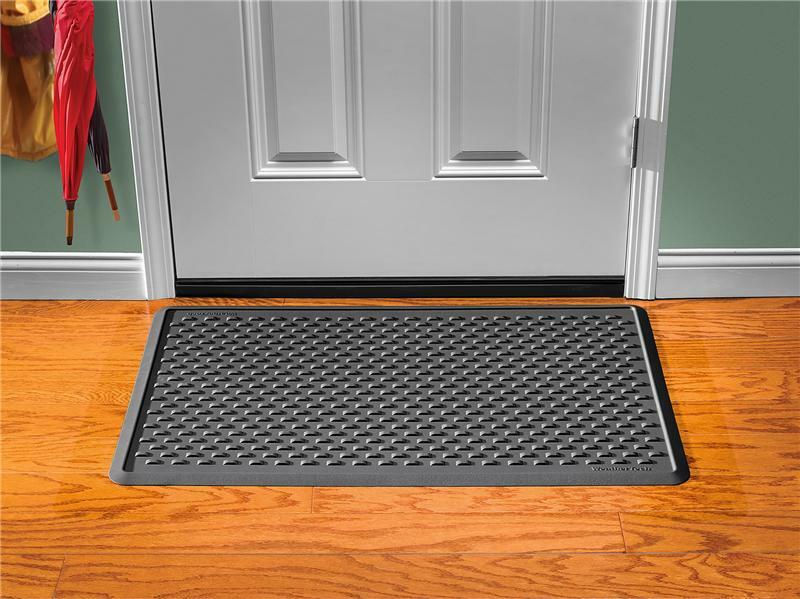 Developed from the same digital technology that WeatherTech® is known for, the IndoorMat™ entry mat is made from a 100% recyclable resin. It features a fully wrapped raised lip perimeter to contain any fluid, dirt, etc to protect your floor from tracked-in messes. Engineered with a specially designed pattern that is comfortable to walk on, but is strong enough to hold shoes up from the bottom of the mat where dirt and fluids are retained. 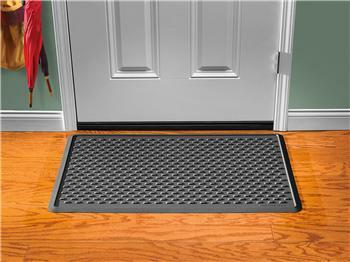 Easy to clean and easy to move, the WeatherTech® IndoorMat™ is the ideal mat for indoor entryways. An outdoor mat is never JUST an outdoor mat when it is designed, engineered and manufactured by WeatherTech®. We took the same technology that we use for our precision engineered automotive accessories and developed a premium OutdoorMat™ to fit the needs of busy doorways. Made from 100% recyclable resin, the WeatherTech® OutdoorMat™ features a specially designed scraper edge combined with semi-rigid cones to remove debris from shoes. Perimeter vents surround the edges to allow liquids to drain from the mat with ease. Its robust design enables the OutdoorMat™ to stay-put and lay-flat. The attractive appearance of the WeatherTech® OutdoorMat™ makes it the perfect and exceptionally functional accessory for any doorway – from busy businesses to a household of outdoor lovers, it will stand the test!